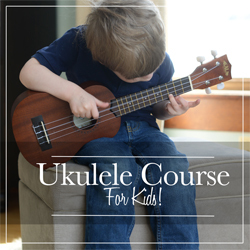 Since most homeschool moms don’t have the time or expertise to teach music in their homeschools, I offer click-and-go, super easy-to-use music appreciation courses for all ages, so every homeschool can include music! Find Music History, Hymn Study, Composer Study, 15-Minute Music Lessons, Musicals, Christmas, and more! Take a look Free Preview lessons for each course. A few years I started writing self-paced online music appreciation courses especially suited for homeschoolers either at home or at a homeschool co-op. They are perfect for kids to do on their own or for a teacher to lead them through the lessons. I’ve heard from classroom teachers, music teachers, and private lesson teachers who are using the courses and loving them as well! Find fifteen 15-Minute Music Lessons especially for elementary-aged students. Everything you need is included right in the online course: lessons to read and videos to watch. Each lesson includes free printables and sometimes links to other sites to enrich your learning on the subject. You can complete each lesson in 15 minutes, but more material is included if you’d like to expand the time or the days on a particular lesson. Music is such a part of our lives and can really help us prepare for the holidays we want to celebrate throughout the year. Learn about, listen to, and do activities with various songs and music which relate to holidays such as New Year’s Day, St. Patrick’s Day, the Fourth of July, Veterans Day, Thanksgiving, and Christmas! Also included are fun music lessons for special days such as Star Wars Day/May the Fourth, Talk Like a Pirate Day, and Dr. Seuss Day! This is the perfect course to do with any state study! Listen to the state’s official –and unofficial –songs as you learn about each state. Videos of the songs, as well as links to lyrics and sheet music are included. This course is all you need if you don’t want an additional state study curriculum since the state symbols and other pertinent information are included for each state. The “State Songs of the 50 U.S. States” Course is perfect for making geography study of the states of the United States comprehensive and exciting! Intro to Musicals contains ten lessons on ten different musicals. Read about the story and background, watch video clips, work on one printable per lesson, take an online quiz, and explore links to outside sites with other materials to enrich your study. The ten musicals are Annie, Seussical, Cats, James and the Giant Peach, Joseph and the Amazing Technicolor Dreamcoat, Mary Poppins, Newsies, Annie Get Your Gun, The Music Man, and The Wizard of Oz. Use the six brand new music lessons from this mini-course, plus the five bonus lessons, to learn about Christmas carols, Christmas songs, and other Christmas music that is sure to get you and your students in the holiday spirit! Christmas Songs and Music Included in the Mini-Course: White Christmas, The Nutcracker, Joy to the World, O Holy Night, Silver Bells, Sleigh Ride, In the Bleak Midwinter, Handel and his “Messiah”, Amahl and the Night Visitors, Silent Night, Carol of the Bells, Santa Lucia, and Epiphany/Day of the Kings. Each lesson includes a text lesson, videos, at least one printable, and an online quiz. The course consists of 18 lessons about the music, genres, styles, and composers of Western Music from 450-1800. You’ll learn about Gregorian Chant, the beginnings of musical notation, organum, Medieval church modes, Hildegard von Bingen, Guido d’Arezzo, Josquin des Prez, madrigals, motets, the beginnings of opera, music of the Reformation, Buxtehude, Vivaldi, Bach, Handel, Haydn, Mozart, Beethoven, and many more! The course consists of 36 lessons about the music, genres, styles, and composers of Western Music from about 1800-1900. You’ll learn about Schubert, Liszt, Mendelssohn, Chopin, Rossini, Wagner, Brahms, Tchaikovsky, Dvorak, Stephen Foster, Gilbert & Sullivan, Edward MacDowell, Amy Beach and many more! Music Appreciation of the Romantic Era for High School includes written lessons, videos to watch to learn more about concepts and to listen to the music, assignments to complete using printables which are provided, and online quizzes. Use the course to get a full or half-credit in high school Fine Arts. The course can be used for all ages (K-12), but is specifically written for the junior high/high school level. Everything you need to earn a 1/2 credit in fine arts (in 20th Century Music Appreciation) is included right here in the self-paced online course. 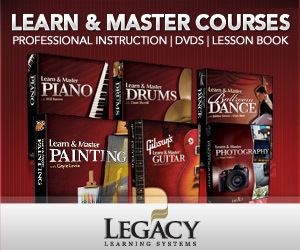 Go through 36 lessons and earn a 1/2 credit by spending a semester or year on the course. (Instructions are included, as well as how to adapt it to earn a full credit.) There are printables to print out to keep track of all you’ve learned. Read the lesson and watch the videos of the music you’re learning about. A wide variety of styles from all decades of the 20th century from America, Europe, and South America are included: ragtime, big band, jazz, opera, ballet, impressionism, expressionism, atonal, serialism (tone row), chance music, guitar, piano, symphony, film music, folk music, rock and roll, and more! Have some fun taking a mini-music appreciation course with these 10 lessons: Instruments of the Middle Ages, Handel, Patriotic Music, Blues and Jazz, Aaron Copland, Gilbert & Sullivan, Dvorak and Henry T. Burleigh, “James and the Giant Peach” the Musical, Music for Veteran’s Day, and Music for Thanksgiving. You’ll even find a bonus lesson or two! Fun lessons perfect for upper-grade students to do independently or for a teacher to use to lead a class through a study of Shakespeare at a homeschool co-op or school. Learn about how to pronounce Shakespeare, iambic pentameter, a biography of William Shakespeare, the Globe Theater, Elizabethan theater, and memorization and performance tips. Memorize speeches, read through and watch monologues, watch A Midsummer Night’s Dream, and perform an act from William Shakespeare’s Star Wars. World Music, American Music, and 100 Songs All Kids Should Know are coming up next! What other courses would you like to see?